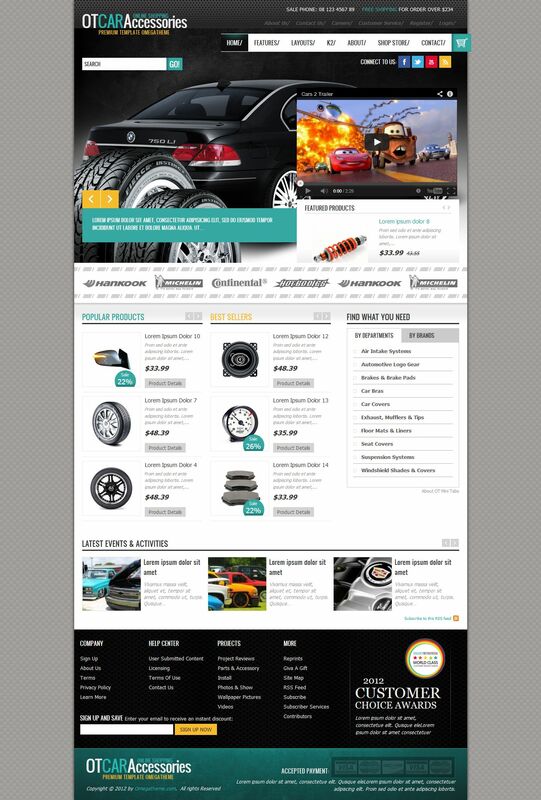 OT Car Accessories - workable template online community created by the studio OmegaTheme, which is ideal for the development of sites for trade car parts and various accessories for cars. The introduction of the component template VirtueMart online sales site provides a full set of tools and features that allow real-time to quickly receive and process customer orders. Popular framework Solid Framework optimizes good template, providing high speed web pages load and support all mobile and tablet devices. Integrated rotator are the top template Hot Effects Rotator, allows you to display the entire range of important information on your web pages. Also known support component K2 gives additional useful features when you publish content on the Internet.